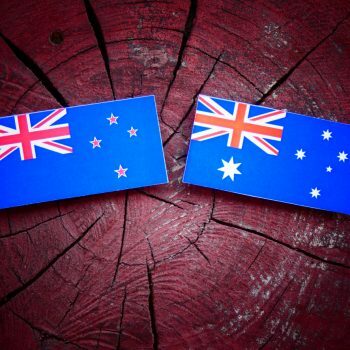 The Wine and Spirit Trade Association (WSTA) has put forward its case for a free trade agreement with New Zealand and Australia, urging the UK government to remove all existing tariffs for both countries after the UK leaves the EU. In a submission to the Trade Select Committee last week, the WSTA called for new bilateral agreements with both countries to be a priority after Brexit, given the mutual benefits it would afford all involved. Currently, wines imported into the UK from Australia and New Zealand are subject to an additional tariff of 10 to 12p per bottle of still wine and 22p per bottle of sparkling wine, while British spirits being exported to either Australia or New Zealand pay an extra 5% on top of their value – costs that are ultimately passed onto the consumer. The WSTA estimates that customs tariffs on wines entering the UK from Australia and New Zealand amounted to some £35m in 2016. In 2016, Australian wine exports to the UK were worth £1.5bn in sales, while UK spirits exports to Australia were worth £613m in sales. In the same period, sales of New Zealand wine in the UK were worth £618m and sales of UK spirits exports in New Zealand were worth some £50m. Furthermore, over 80% of Australian wine, and over 40% of New Zealand wine, is exported to the UK in bulk, with much of it then bottled and re-exported to the EU and Norway. The removal of tariffs would allow Britain to maintain its position as the international hub in the world wine trade further boosting the UK economy and providing more jobs, the WSTA argues. “A tariff free trade deal is therefore a win-win for industry and consumers on both sides of the world and it is something we have been talking to our trading partners and politicians down under about since the vote to leave the EU,” said Miles Beale, chief executive of the WSTA. The WSTA’s calls follow a speech by UK Prime Minister Theresa May at the World Economic Forum in Davos, Switzerland, last week, at which she told delegates that the “UK will continue to be a global advocate of free trade”. “In her speech in Davos this week the Prime Minister said the UK intends to be at the forefront of championing new trade deals,” added Beale. “We welcome this and call on government to take the opportunity post Brexit to enhance trade with Australia and New Zealand by removing all unnecessary regulatory barriers and allowing goods to flow more freely between the markets.